Hannele Talkio adjusts a the decorations on a mannequin that displays women's Regency Period clothing on display in the window of the Coulson building on Third Avenue. The Centennial Belles have decorated windows in the Coulson building on Third Avenue in celebration of the upcoming Jane Austen Festival. Apr. 7, 2016 8:00 a.m. The Centennial Belles have been busy decorating the windows of the Coulson building on Third Avenue with Jane Austen inspired mannequins and props. The Regency Period decorations are displayed to raise awareness for the Jane Austen Festival in Port Alberni happening on July 8 and 9. The Port Alberni Centennial Belles want to break the record and score a spot in the Guinness World Records for the most people dressed in Regency Period costume gathered in one place. Bath England holds the current record of 409 people. The gathering will happen at Glenwood Centre on Saturday, July 9 at 10 a.m. Those interested in helping break the record can register online at www.centennialbelles.ca or in person at the Rollin Art Centre. Participants will receive costume guidelines and a number that they will use to get there picture taken on the day of the event. 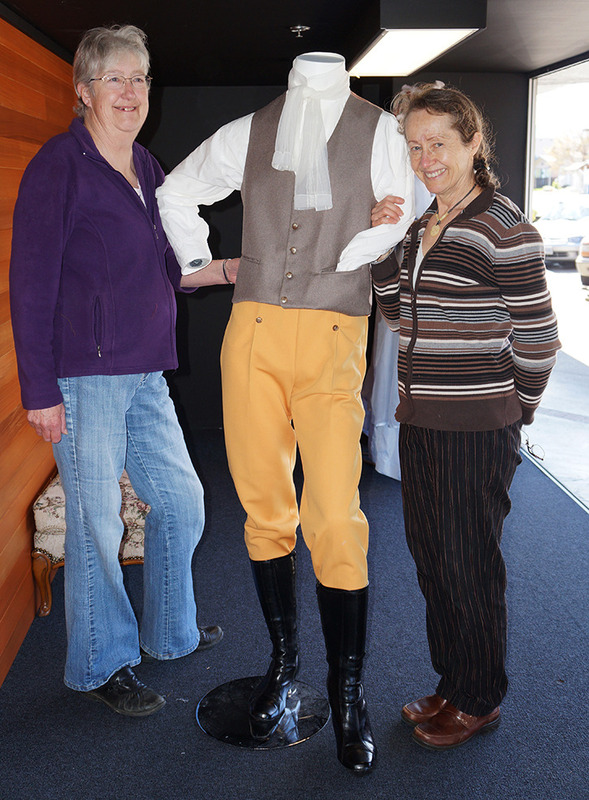 Workshops are available for folks who want help making their own Regency Period costume. Advice on patterns and fabric and many more tips will be available for both women and men’s costumes. Workshops run now through June 11 with specific dates and times available on the Centennial Belles’ website. Knight said this is the first Jane Austen Festival in B.C. and believes Port Alberni can break the record.